It's all platfomers all the time in this week's collection of free games, including a platformer where the screen is only one pixel high and a collaborative platformer where two characters have to work together to get to the next screen. Spin Spin is a platformer with no jump button. Instead of bouncing your way to victory you have to rotate the entire screen and fall toward your objectives, but make sure to avoid the spiked walls! 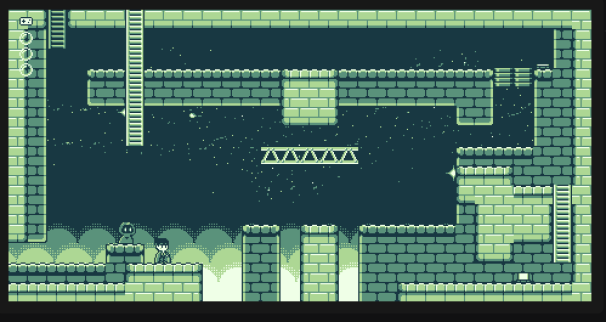 The title Tower of the Gorillion sounds like an old-school 8-bit platformer, and the game looks like one too. Besides the retro Game Boy-era graphics, the game's calling card is a unique two-player system. One character runs along a foreground layer while the other makes his way along another layer in the background. Both characters have to work together to solve the challenging puzzles. Gorillion can be played with 2 players but if you don't have a buddy around to share it with don't worry, you can also operate it just fine playing alone. 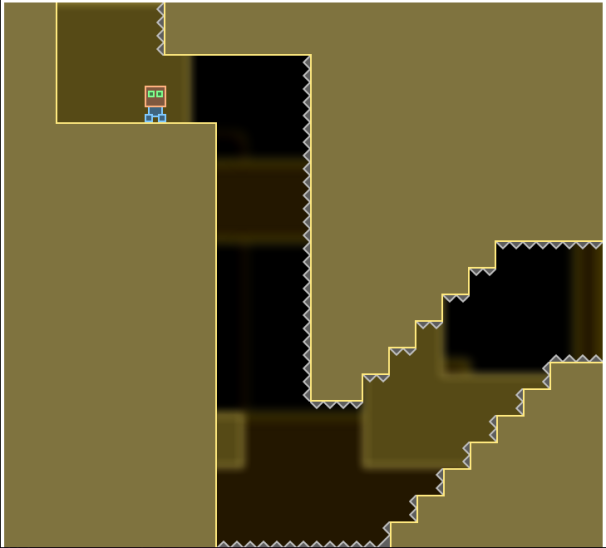 Linescape is a platformer that's only one pixel tall. Pressing the spacebar launches your blue blob off screen for as long as you hold it down, which makes it difficult to judge exactly how far you've traveled. Your goal is to make a precise series of jumps by estimating where you'll fall back into the linescape when you end your jump.